Magellans Promotional Merchandise Division is pleased to present our Custom printed lanyards. 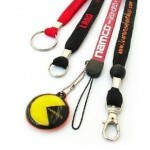 Printed Lanyards are a superb option for promotional ID solutions. With our extensive range of lanyards that include printed satin lanyards, nylon printed lanyards, silicone and dye sublimation full colour printed lanyards for a really first class and high quality first impression. Magellan deal directly with our own Lanyard facility in the far east to ensure you get great prices on all of your printed Lanyards. 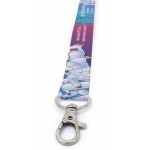 We offer low cost and cheap lanyards from 12mm tubular style lanyard to highly custom lanyards or luxury lanyards utilising mixed materials and attachments. If you need in printed lanyards Magellan can have any type manufactured to your specification by our sales team. High definition dye sublimation offers the ultimate in full colour logo reproduction. Printed lanyar.. 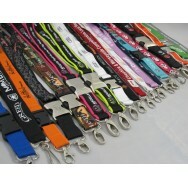 Logo Printed Lanyards 20mm custom printed in full colour are made from deluxe polyester material and.. 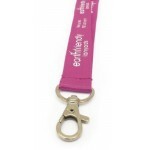 Branded Lanyards offer the ultimate in full colour logo reproduction. Ultra smooth polyester, logos ..